Revel in the beauty and diversity of this extraordinary country in one thrilling journey. 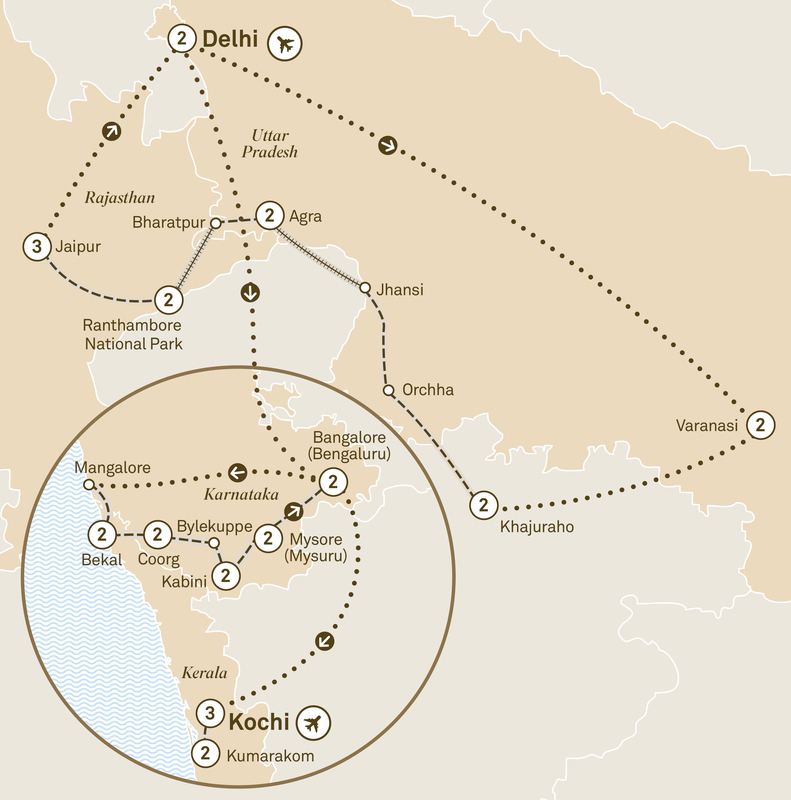 Discover the grandeur of North India as you journey around the ‘Golden Triangle’ of Delhi, Jaipur and Agra. Continue to spiritual Varanasi, search for tigers in Ranthambore National Park and marvel at the incredible Taj Mahal. Your journey then heads south as you explore the British colonial history of Bangalore and Mysore, the lush highlands of Coorg and Kabini and cruise along the spectacular Kerala Backwaters. Fly to South India via New Delhi to enjoy your two night stay in Bangalore. Take away wonderful memories of your Indian adventures as your journey concludes with your transfer to Kochi airport.